Day 8: Robins are migratory! As some of our native birds head for warmer climates, Scandinavian, continental European and Russian Robins come to the UK to avoid more severe winters. BirdLife International (2018) Species factsheet: Erithacus rubecula. 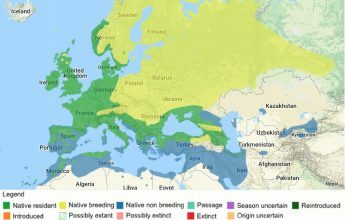 Downloaded from http://www.birdlife.org on 11/12/2018.